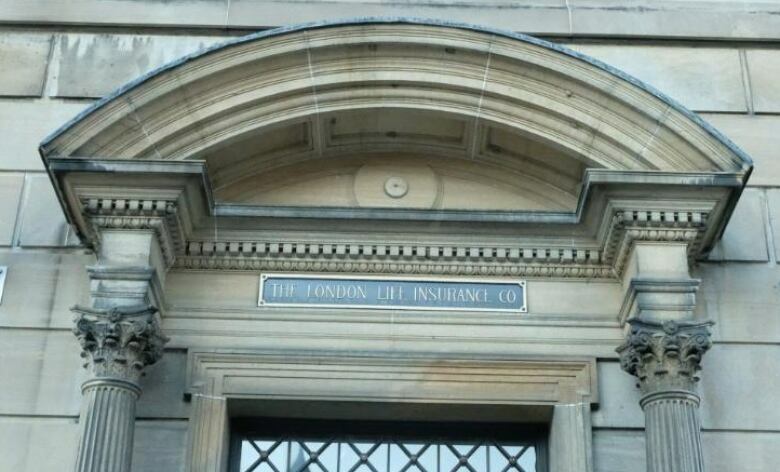 London Life, the iconic insurance company that carried the Forest City’s name for almost 150 years, is getting a rebrand. The company will join with two other insurance firms under a single banner, Canada Life. “Our three companies, Great-West Life, Canada Life and London Life are celebrating the next stage of our journey. Welcome, as we unite under a single brand,” said Jeff Macoun, president and COO of Canada Life. The demise of the London name was announced Wednesday at the historic London Life building on Queens Avenue in downtown London, Ont. London Life was founded in London in 1874 and currently employs about 3,000 people in the city. The historical roots of the London Life will always be iconic to the London area – Courtney Hance, The Branding Firm Inc. It merged with Great-West Life in 1997 and then joined Canada Life in 2003. “Uniting under one brand will make it easier for us to talk about what makes us different than other companies,” Macoun said. The company says the change, which requires board, regulatory and policyholder approvals, will further simplify the business. Consolidating three brands under one makes a lot of sense, said Courtney Hance, the owner and president of The Branding Firm Inc., a London-based marketing agency. “Brand unification is definitely something that allows for clear and concise messaging. It wakes away confusion in the marketplace, to current customers, to future customers, and within the organization,” Hance said. The Canada Life rebrand will happen over the next year. Customers will continue to work with the same advisors and group benefits won’t change. Canada Life will have more than 10,500 employees across the country and serve 13 million customers.